Posted on December 15, 2017 at 12:31 am. Get through the last week of the working week with bonuses and promo codes for top online casinos. We have gathered the best offers this week and compiled them below with links to more information or go direct to get playing straight away. Casino-Mate has added two new slots from top online casino software developer BetSoft and Quickspin this week, and players can claim a free spins bonus to test them out. QuickSpin released Rapunzel’s Tower earlier this week. It is 20 payline slot based on the fairytale princess Rapunzel, who is locked up in a tower. Her and a prince team up to escape using her long tresses which don’t stop growing – every balding man’s dream. You’ll find Wilds, multipliers, free spins, and a bonus Tower round. BetSoft released its Legend of the Nile online poker machine two days after QuickSpin’s new title. It is an Egyptian themed online slot featuring a 6×6 grid. You will find 3D graphics, including dazzling jewels, intriguing hieroglyphs and the symbolic sphynx. You can claim a 20 free spins bonus on both of these slots by depositing €/$20 and selecting the respective offer. You do have to wager any winnings from the free spins 50 times, and you cannot win more than €/$200. Find out more about Casino-Mate’s latest game releases and bonuses here. Emu Casino is counting down the days with a festive advent calendar featuring daily promos and giveaways, plus $1200 in bonus money. Running until December 25, Emu Casino players can receive a bonus every day which lasts for 24 hours. There are 12 bonuses up for grabs – if you missed the first one, there’s 11 more to collect – worth $1200. You will also find 120 free spins which you can use on the selection of slots. There’s also a 12 Days to Christmas Casino Race with $12,000 up for grabs, shared out across 200 lucky winners. If you’re new to Emu, you can also receive the $300 welcome bonus divided up over your first three deposits, plus 20 free spins to use on your favourite poker machine. Find out more about the Emu Casino Christmas promo here. Rizk online casino is celebrating the release of NetEnt’s Finn and the Swirly Spin, by giving two players the chance to win a $/€50,000 holiday. Running until January 1, players can score an entry into the holiday prize draw by wagering $/€200 on the brand new slot to earn one ticket into the draw. The two lucky winners will also receive return flights in business class (economy for the Africa trip) and accommodation for two. You need to be a member of Rizk to participate in the promotion, and if you are new you can also claim the 100% welcome bonus up to $/€100, 50 free spins and a free spin on the Wheel of Rizk. Head here for more information on the Rizk holiday packages, and the terms and conditions available. On Mondays, registered players can claim a free spins bonus at House of Jack online casino. The ongoing promotion gives players the chance to claim up to 100 free spins on Wild Chase, which is QuickSpin’s 25 payline slot. You can score multiplier Wilds, a free spins bonus round, and more. Be sure to enter the bonus code when making a deposit or you won’t receive the free spins. Additionally, all winnings are capped at €/$200. New players can also claim a €/$450 welcome bonus plus 80 wager free spins, which are spread across three deposits. You can find out more about the House of Jack free spins bonus, and welcome offer here. When Tuesday rolls around you can claim a mid-week match deposit bonus at Casino-Mate. Every Tuesday and Wednesday, Casino-Mate online casino puts on an ongoing 35 percent match deposit bonus up to €/$70. All you need to do is have an account with the site and make a minimum deposit of €/$20 to be eligible for the offer. 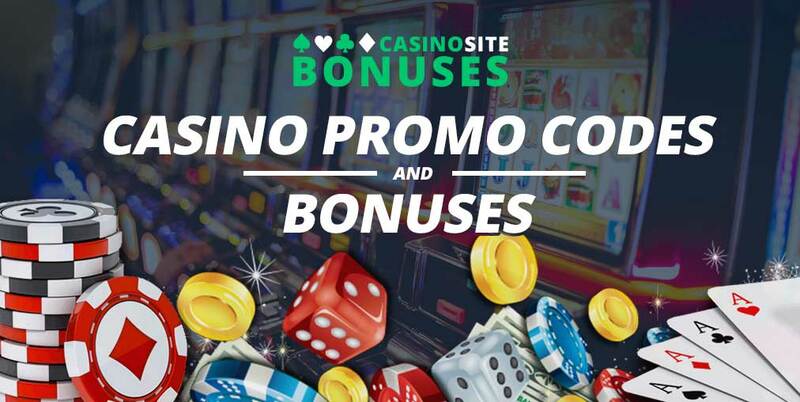 You can also boost the bonus with Casino-Mate’s Surging Bonus Booster Wednesdays. Players can claim a claim a 25% match deposit bonus when depositing at least €/$20, or a 50% bonus when depositing least €/$150. Both offers come with a 40x wagering requirements, and they will expire after 30 days. The bonuses are ongoing, so you can come back every week too. If you don’t have an account you can also claim the €/$1400 welcome bonus, plus 20 free spins when depositing for the first time. If you want to know more about the Casino-Mate bonus terms, check out the information here.